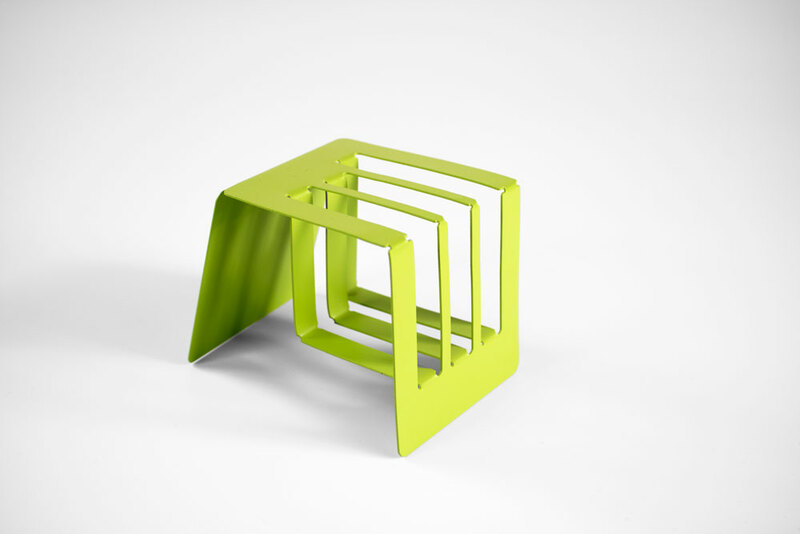 Void is a set of desk organizer inspired by the pop-up card idea. It is made of steel metal. 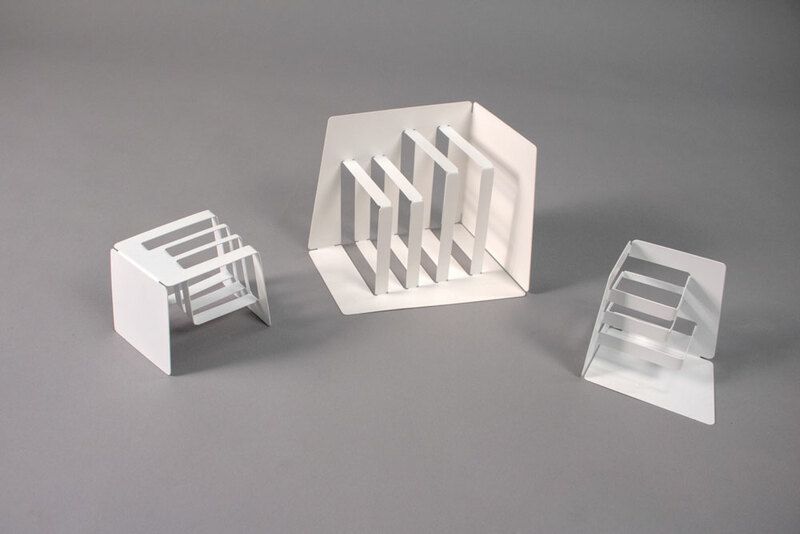 By folding the flat metal sheet in to three-dimensional form, the negative space turns to be a practical and functional storage area. 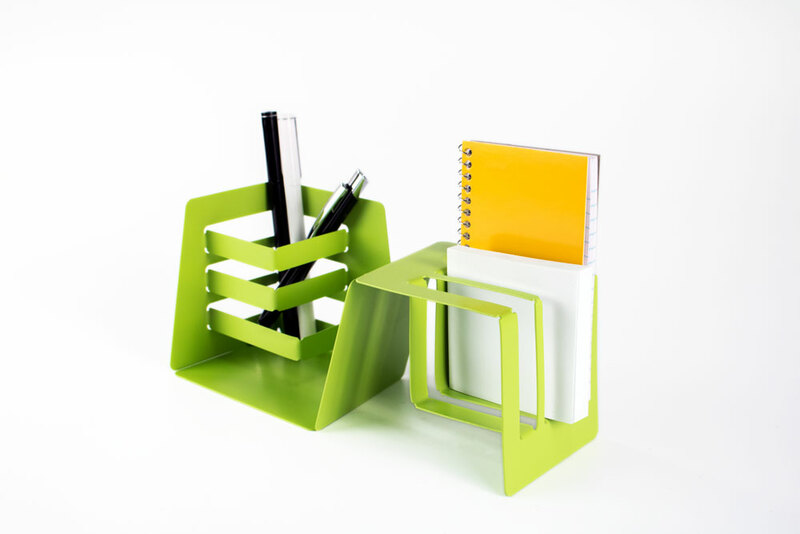 The set features a pen holder and various size notebook holders. It is powder coated in green and white colors.